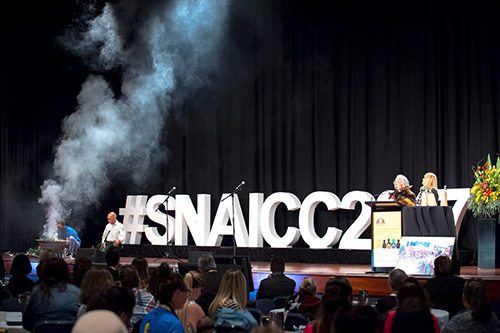 On behalf of the Secretariat of National Aboriginal & Islander Child Care (SNAICC) and the conference advisory group welcome to the official website for the 8th SNAICC National Conference. As well as providing a powerful and inspiring learning experience for all attendees it will also provide opportunities to meet and experience some the richness and culture of the local communities of South Australia. A must conference for anyone working in Aboriginal and Torres Strait Islander children and family services – we hope you can join us. 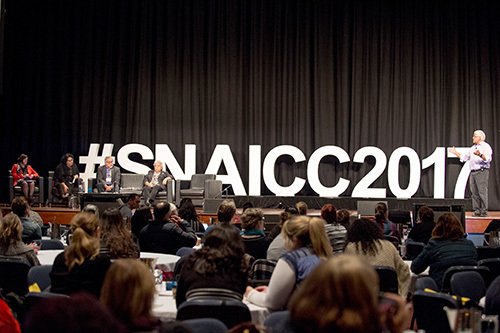 The conference is convened to assist with the achievement of the SNAICC vision: An Australian society in which our communities are empowered to determine their own future; where the rights of our children, young people and families are protected; where our cultural identity and achievements are valued; and our children and families have access to culturally appropriate services. 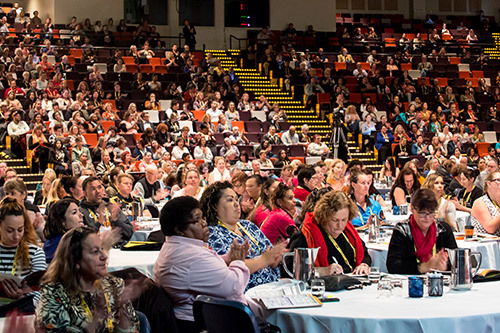 As the largest Conference of its type in the southern hemisphere the SNAICC Conference provides the opportunity for Aboriginal and Torres Strait Islander organisations, policy makers, researchers, government representatives, other non-government organisations and industry representatives to gather and make renewed commitments to Aboriginal and Torres Strait Islander children. It is expected that the 2019 Conference will again attract a diverse audience of 1000 participants from all over the country. This will provide a dynamic networking and learning opportunity for attendees. 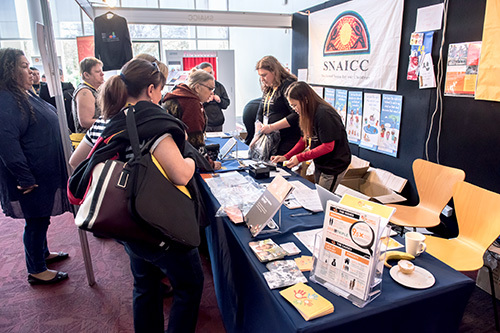 SNAICC aims to develop a program and conference experience that is culturally rich, interactive and culturally safe. Keeping our children safe and connected to kin, culture and country. This theme considers the integral importance of connections to family, community, culture and country to the safety, wellbeing and the best interests of Aboriginal and Torres Strait Islander children. Bringing culture to the fore in decision-making requires efforts including increasing participation of Aboriginal and Torres Strait Islander people in decisions for their own children and refocusing on the important work to support families to safely reconnect and reunify. This is particularly important as parts of the country consider a move to permanently separating children from their families and communities, exacerbating the inter-generational harm of removal. In the case of children living in out-of-home care, effective cultural support planning and implementation are vital in maintaining connections to family, community, culture and country. Community members, community-controlled organisations, and services working with our communities on the ground have the best knowledge of the challenges our children and families face and are best placed to provide supports while demanding system change. Real self-determination comes from the ground up, and better outcomes for children can be achieved by enabling and listening to the voices of grass-roots Aboriginal and Torres Strait Islander community advocates. The 8th SNAICC National Conference will create a safe space for this to happen. This theme will encourage Early Years practitioners from around the country to share the tools and ways that work for them in addressing the need for healing from the trauma of colonisation, dispossession, and the Stolen Generations; eliminate institutional racism and discrimination; and redress disproportionate levels of poverty and disadvantage through ending family violence and the provision of accessible and culturally appropriate family services and early childhood services. Aboriginal and Torres Strait Islander children are twice as likely to be developmentally vulnerable early in life than non-Indigenous children. Accessible and culturally safe early years care, early childhood education, and family support services are vital to address this reality and enable children’s safety, development and wellbeing. Aboriginal and Torres Strait Islander children are only half as likely to access early education as non-Indigenous children and massive gaps persist both in the resourcing of Aboriginal and Torres Strait Islander early years services, and the provision of culturally safe services by mainstream organisations. We know that experiences in early childhood have the greatest impact on children’s school readiness, educational engagement, and later health, social and wellbeing outcomes. Across Australia there are wonderful examples and inspirational stories of kinders and early years centres that are making a difference every day. From Bush Kinders, bush tucker cooking classes to Pre-School Graduation Ceremonies and Stories in language, let us share the amazing work being done in our communities. The 8th SNAICC National Conference will bring together grass-roots experts to share and grow culturally strong approaches that support our children and families to thrive. Partnership, collaboration, and relationships for better outcomes – community advocacy for change – leading the development of integrated, holistic, culturally-effective service systems within communities and regions, and across jurisdictions and sectors. 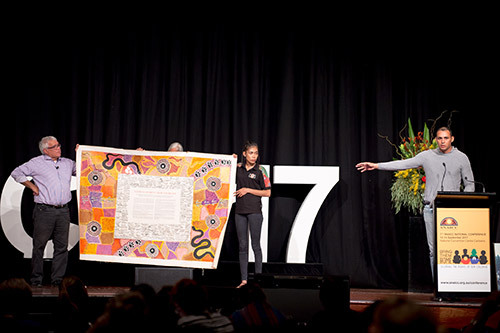 Reinforced at the 7th SNAICC National Conference in 2017, we recognise that self-determination for Aboriginal and Torres Strait Islander people in relation to the wellbeing of their children and young people requires genuine partnership in the design and delivery of child protection systems, family support services, and early childhood services. We must work together to share best practice and collectively strategize to achieve broader political and system change.This theme focuses particularly on the need for genuine partnership and collaboration with Aboriginal and Torres Strait Islander community-controlled organisations, building capacity and enabling self-determination of Aboriginal and Torres Strait Islander peoples, aiding the design and creation of systems that will best meet the needs of families and communities. Community leading the way for community.With each jurisdiction adopting different strategies and policy frameworks this is an opportunity to learn from the different states and territories. What is working and why? From the Roadmap for Reform: Strong Families, Safe Children in the South to the Supporting Families Changing Futures in the North, Building a Better Future in the West, Strong Families Safe Kids in Tasmania, Fresh Start in South Australia and Their Futures Matter in New South Wales there are many lessons to be learned and investments to be made.The 8th SNAICC National Conference will bring together government, grass-roots experts and community to share their unique perspectives on what they have learned in building systems and practices that support our children and families to thrive. Right across Australia, Aboriginal and Torres Strait Islander people have developed their own local responses to the issues and challenges that impact their communities. 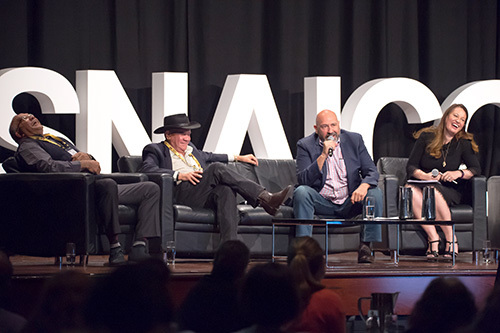 The 8th SNAICC National Conference will showcase grass-roots best practice from across Australia, grown out of the need to respond to locally identified issues in ways that keep children safe while remaining strong in culture and thriving. What are local communities doing to improve the social, health and wellbeing outcomes of young Aboriginal and Islander children? How are communities increasing engagement and participation by Aboriginal and/or Torres Strait Islander children and families in services such as kindergartens, supported playgroups, maternal and child health services and primary schools? It is challenging to know everything that is being done across land and sea. We are big on distance and short of time. However, we are all committed to improving ourselves, our practices and our organisations so that we can make a positive change in the lives of our children and our communities. This conference provides an opportunity for practitioners, services and organisations to showcase their own best practice and – more importantly –come together with other experienced, innovative practitioners to improve and strengthen their own practice and service and system responses by learning from each other. We are all part of the oldest continuous living cultures in human history. We have a rich culture involving a custom, lore and value system based on the sustainability of our spiritual connection, belonging, obligation and responsibility to care for our land, our people and our environment. Our knowledge is diverse and dynamic, constantly absorbing new information and adapting accordingly. Knowledge and wisdom accumulated over many generations, combined with the lived experience of the people, and passed on in the form of songs, stories, dance, art and the Lore. This conference will enable practitioners, managers, leaders and planners to share best practice and develop collective strategies, forming knowledge and service networks (from the local to the national), to see our children grow up safe and cared for within our families, our communities and our culture. Sharron Williams has served as the Chairperson on the SNAICC national executive since 1999. Sharron is a Narungga/Kaurna woman who has been the CEO of Aboriginal Family Support Services (AFSS), the peak Aboriginal child welfare organisation in South Australia, since 1997.  The agency was formed in 1978 in response to Aboriginal children often being removed from their families and communities without the consent or even consultation with extended family members. Sharron’s experience has included 15 years with Correctional Services in strategic and policy development positions, including as the first Indigenous Public Relations Officer within the Correctional Services system in SA. Sharron’s strengths are building strong relationships with government and industry on behalf of the community, based on respect and a strong commitment to protecting the rights of the Aboriginal community. Rachel Atkinson is a Yorta Yorta woman from Mooroopna, Victoria, who grew up at the Rumbalara Aboriginal Reserve. Rachel is the current CEO of Palm Island Community Company Limited (PICC) and splits her time between the mainland and the island. Lisa Coulson is a member of the Tasmanian Aboriginal Palawa community. She has been the Director of the long-day-care Tasmanian Aboriginal Child Care Association (TACCA) since 1993. Lisa is also the Manager of the TACCA FaHCSIA funded Indigenous Parenting Support Program and TACCA has auspiced funds for the Meenah Mienne Aboriginal Youth Justice arts mentoring program. Lisa has a Diploma of Community Services (Child Care). Lisa has been a SNAICC National Executive Member since November 2001. Professor Muriel Bamblett is a Yorta Yorta and Dja Dja Wurrung woman and CEO of VACCA (Victorian Aboriginal Child Care Agency) since 1999 and newly appointed Chairperson of SNAICC. She also previously held the SNAICC Chairperson role from 1998-2008. Muriel is currently active in over 30 advisory groups concerning the Aboriginal community, including the Aboriginal Treaty Working Group; Aboriginal Family Violence Steering Committee; Victorian Children’s Council; Aboriginal Justice Forum; and the Aboriginal Community Elders Service, to name just a few. Muriel was heavily involved in the Northern Territory Child Protection Inquiry from 2009-11. A spirited and intellectual force for change, Muriel is driven by the desire to give children in out-of-home care ‘a connection to culture – they have their Aboriginality, they have a genealogy, and they feel a connection to land. Muriel has been the recipient of a number of awards, including the Order of Australia; Centenary of Federation Medal; Robin Clark Memorial Award for Inspirational Leadership in the Field of Child and Family Welfare; Women’s Electoral Lobby Inaugural Vida Goldstein Award; and Victorian Honour Roll of Women. In 2009, she was made an Adjunct Professor in the School of Social Work and Social Policy La Trobe University. In 2017 Muriel was awarded an honorary degree of Doctor of Letters in Social Work by the University of Sydney in recognition of her outstanding contribution to Aboriginal child and family welfare.